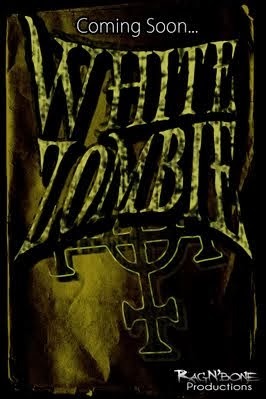 RagNBones has taken on the ambitious task of re-imagining the Bela Lugoisi film WHITE ZOMBIE. The original WHITE ZOMBIE is one of those films I have seen a hundred times yet I remember almost nothing about it but the fact that Bela Lugoisi is in it. It is one of those films I have playing on the t.v. in the background every Halloween morning but I never just sit down and watch it. I don't know why I do that. RagnBone Productions was nice enough to send me a screener of their version of WHITE ZOMBIE. Thank you so very much!